Joe Girardi has been one of Eduardo Nunez’s biggest fans and boosters since the young Dominican infielder made his big league and Yankee debut in August of 2010. Several of the team’s talent developers have also predicted that Nunez would one day succeed his boyhood idol, Derek Jeter as Yankee shortstop. Members of the Yankee front-office have been quoted as labeling this kid as untouchable. I’m not that optimistic about this guy. Don’t get me wrong, he has potential. I just have not seen strong enough evidence that he’s anywhere near ready to take over Jeter’s position anytime soon. He was a valuable utility infielder for Girardi in 2011, appearing in 112 games that season and averaging .265 as a fill-in for Jeter and A-Rod who both were forced into long absences with injuries. But his defensive lapses at both short and third were often glaring and far too frequent for a big league infielder. It was those same defensive shortcomings in several early-season games this season that finally forced Girardi to OK Nunez’s return to Triple A. I do think he has the offensive skills necessary to play regularly at the big league level but he lacks the power necessary to hold down the Yankees’ DH spot. Making Nunez’s return to the Bronx even more difficult is the fact that he can’t focus his time in the minors mastering one infield spot. With A-Rod, Jeter and Robbie Cano pretty firmly ensconced at their respective positions for the next few years, Nunez must learn to play all three adequately. 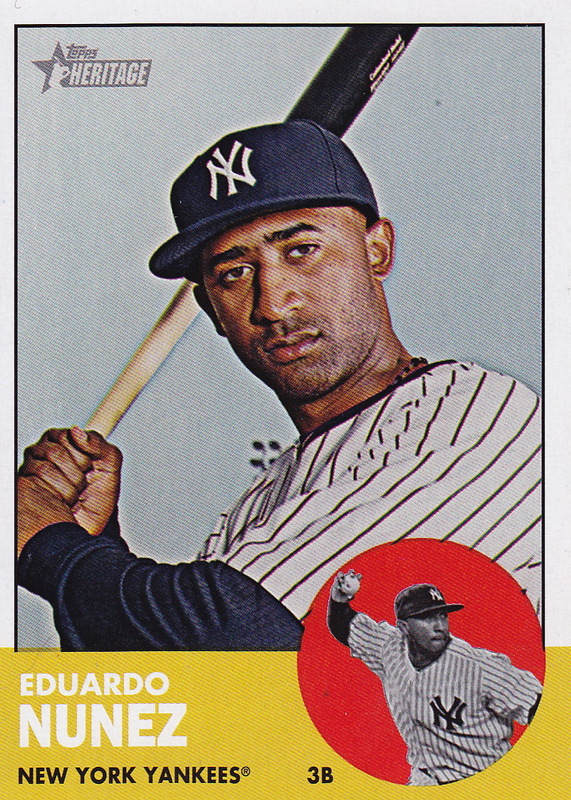 Nunez shares his june 15th birthday with this Hall-of-Fame third baseman, one of the members of the famous Yankee core four and this former Yankee first baseman. I’ve been a Yankee fan for fifty one years and I’ve seen a lot of unexpected things happen with and to my favorite team during those five decades. But if somebody told me in the late 1980s that Wade Boggs, the Red Sox hitting machine and five-time AL batting champion would one day be a Yankee, I would have called that person crazy. After all, from 1983 through 1989 Boggs had hit a phenomenal .352 for Boston and averaged 110 runs scored and 211 hits per season. He was a certain Hall-of-Famer, an outstanding defensive third baseman and although he had some notorious extra marital exploits off the field, nobody was more focused or more driven on a baseball field than Boggs. Plus the Yankees and Red Sox were bitter rivals and the Boston and New York players genuinely disliked each other. The thought of Boggs in a Yankee uniform was literally beyond the realm of my imagination. But in 1992, Boggs hit just .259 in the final year of his Red Sox contract. That was the first time in the eleven seasons he’d been in the big leagues that he failed to hit .300. The fall-off was just enough to dissuade the Red Sox front office from going all-out to re-sign their All Star third baseman. The angry Boggs signed with the Yankees instead. He played the next five seasons in pinstripes and averaged .313 during that span. He teamed with Don Mattingly to give the Yankees veteran leadership and outstanding defense at both corners of their infield. In 1996, he was instrumental in helping the Yankees reach and win the World Series. The image of Boggs, sitting behind a New York City cop riding a police horse around the field of Yankee Stadium after the sixth and final game of that Series has become a visual hallmark in Yankee franchise history. I hated Boggs when he was a Red Sox but once he put on the pinstripes, I quickly learned to love the guy. 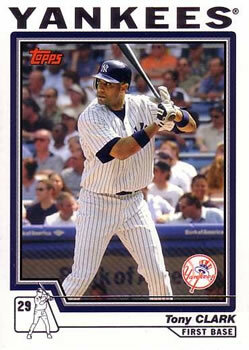 He retired in 1999 with 3010 hits and a .328 lifetime batting average. Five years later he was inducted into the Hall of Fame. 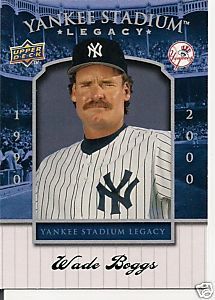 Most Yankee fans think this recently retired pitcher, who shares Boggs’ June 15th birthday, also belongs in Cooperstown. 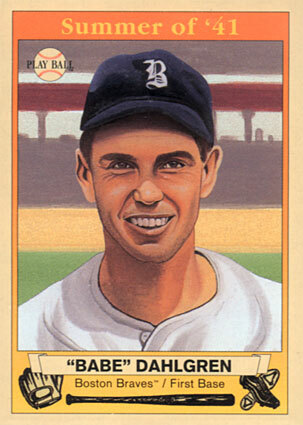 Also born on this date is this Yankee utility infielder and this former Yankee first baseman. 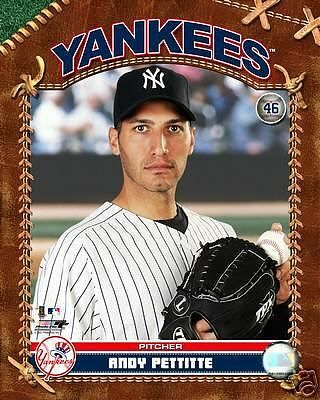 When this big lefthander admitted he’d taken a human growth hormone and then went 14-14 during his second season back with the Yankees in 2008, I thought we’d seen the last of Andy Pettitte. But instead, the Baton Rouge, Louisiana native persevered and his 14-8 regular-season performance in 2009 and his absolutely amazing 4-0 run in that year’s postseason cemented his place as one of the great starters in Yankee team history. He then got off to a great start in 2010 and became just the third Yankee pitcher ever to win 200 games for the franchise. He was already 11-2 when he took the mound on July 18, 2010 against Tampa Bay. In the third inning, Pettitte pulled a groin muscle while pitching to the Ray’s catcher, Kelly Shoppach. He did not pitch another game until September 19th and finished what would become his final season in pinstripes with an 11-3 record. Yankee fans were praying Andy would come back in 2011, especially after New York did not sign Cliff Lee but Pettitte announced instead that he was retiring. Personally, I think he should get into Cooperstown some day but I don’t think that’s going to happen. This former Yankee teammate of Pettitte did make it into Cooperstown and shares Andy’s June 15th birthday. This Yankee utility infielder and this former Yankee first baseman do too.